Every Saturday night the Walsh families gathered for dinner, music, and cousin time. There were nine children, ranging in age from 4 to 14. It was boisterously good fun. Kids catapulted across the lawn playing games, adults BBQ'd, and set tables for dinner. The swing hanging from an old oak tree was in constant use. Later that night, Jamie strapped her 5-year-old exhausted noodle-like daughter into her car seat, and slipped into the front. She took Paul's hand as the dome light dimmed. He turned the music low and they drove home. Jamie wondered if Priscilla (Pru) might be coming down with something, she was so quiet the following day. Jamie spent extra time cuddling her when she saw Pru pop her thumb in her mouth, a habit she'd broken a year ago. As the week went by, Pru seemed to gain energy, but wet the bed twice. Another anomaly. The next Saturday, as Jamie prepared their assigned dish for the evening with the family, Pru went quiet. At her grandparents' house, she clung to Jamie's leg as if she'd never let go. No amount of coaxing could encourage her to play outside with her cousins. When Josh, Pru's 14-year-old cousin came in from outside, Pru slid around behind her mother, and buried her face in her skirt. Jamie took Pru out onto the front porch and asked what was wrong. Pru told her Josh said she couldn't tell. Anyone. Ever. Pru's cousin had molested her at those family gatherings. It blew the family apart when Jamie confronted her brother and his wife about their son. The sad truth is, this is not unique. 90 percent of molestation is done by a family member, or someone known and trusted by them. As a parent, the more informed you are, the more attuned to your child's behavior, particularly when they seem "off" to you, the faster you can step in, if something is wrong. Here are some telltale signs your child may be being sexually abused. No single behavior indicates child sexual abuse -- except disclosure. If several of these apply, begin asking clarifying questions. Sheri came from a very strict home. The only people who babysat them when they were little were their grandparents. In high school she and her sisters were driven to and from school. They were not allowed to take the school bus. They attended church, where both parents were quite active. Sheri was a junior, her older sister a senior. The baby of the family, completing a trio of girls, was nine. Sheri always wore high necklines and long sleeves, no matter the weather. Beautiful, with long glossy auburn hair, she excelled scholastically, was shy, and at 16 was not allowed to date. She had a best friend who also attended the same church. Tessa, Sheri's friend, risked detention that day to follow Sherri into the bathroom. Tessa had grown increasingly worried for her friend. Something wasn't right. She slipped through the door. Sheri wasn't immediately visible, having taken a right turn further into the bathroom, but the mirrors over the sink gave her away. Tessa's hand flew to her mouth when she saw Sheri, pocketknife in hand, crying as she cut herself. Sheri had told no one, but when she saw her father begin grooming her younger sister to take her place, her hard fought-for façade of normalcy began to crack. Tessa insisted Sheri come to her house and talk to her mother. The entire story tumbled out. Tessa's mom went to Sheri's and broke the news to her. 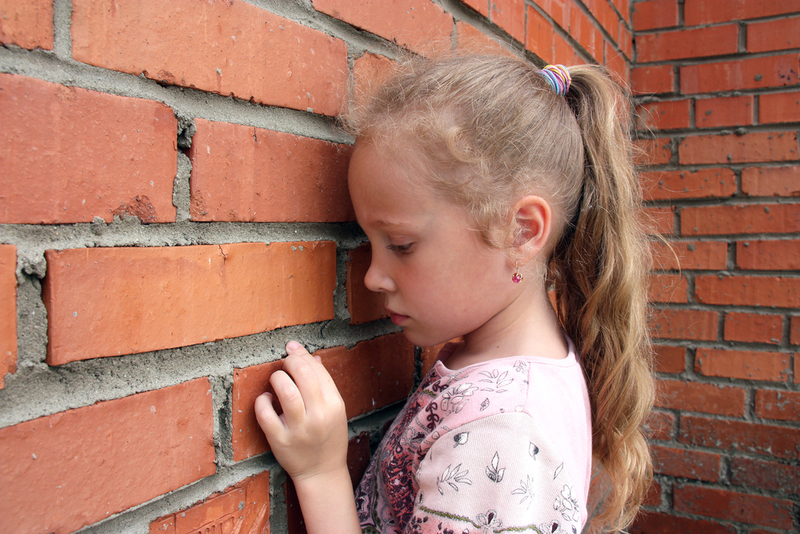 Did you know that more than 50 percent of children wait up to five years before disclosing abuse? If you know what to look for, and create the climate for disclosure by asking clarifying questions you will stop the abuse. As a parent, your best defense is to teach your children early about how special their bodies are, and what appropriate boundaries are. (Dos and Don'ts for parents) But if the unimaginable happens, know that the sooner you are able to stop the abuse, the more positive the outcome.